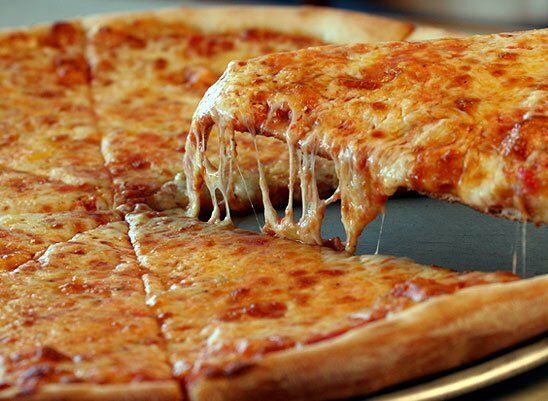 The Best Cooking Schools in New York City will teach you how to make authentic New York Pizza like the one shown here. If you visit New York City, you MUST order pizza! Almost every standard NYC pizza place serves up thin crusted culinary masterpieces that are expertly seasoned and cooked to crispy perfection. The tangy flavors and crunchy textures are so irresistible that pizzerias across the nation try to attract customers by calling themselves “New York Pizza.” Try as they might, there’s just NO comparison. In fact, New Yorkers take their pizza so seriously that many of us who move out of state just stop eating pizza altogether. The Best Cooking Schools in the world are the Le Cordon Bleu culinary academies. Le Cordon Bleu degrees are recognized and respected by top chefs from all over the world. The Le Cordon Bleu school maintains 15 campuses across America. Although there are no Le Cordon Bleu locations in the state of New York (the nearest one is in Boston), there are a number of accredited culinary colleges throughout the state. Here's a local list of the Best Cooking Schools in the state of New York. These are accredited colleges offering various degrees in culinary arts. Institute of Culinary Education at 50 West 23rd Street in New York City. Call 800-777-2433.
International Culinary Center in New York City. Call 888-324-2433. French Culinary Institute in New York City. Call 212-219-8890 for all the juicy details. The Culinary Institute at Hyde Park. For information, call 845-452-9600. The Culinary Institute at Hyde Park is the oldest accredited cooking school in the United States.